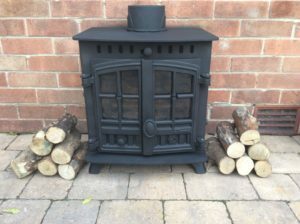 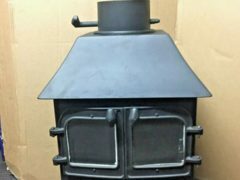 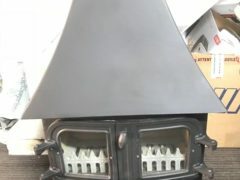 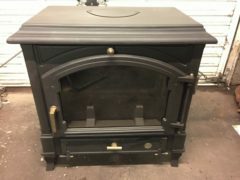 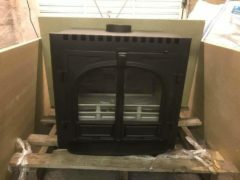 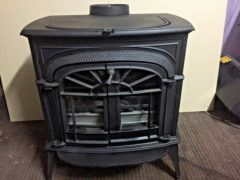 We are also available to arrange collection of the stove. 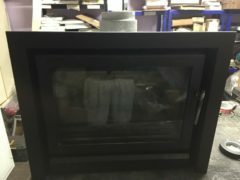 Offer money for your stove simply email us a picture and description with your contact details here info@stoveglass-direct.co.uk. 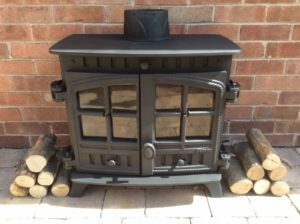 We are based in West Yorkshire (Halifax Area). 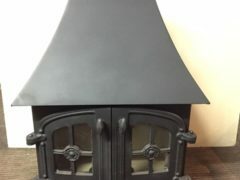 You are welcome to call on 01422 831413 If you are able to drop the log burner off yourself. 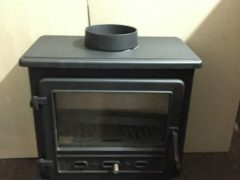 If not we can arrange collection with our staff or if further a field can arrange collection by a carrier. 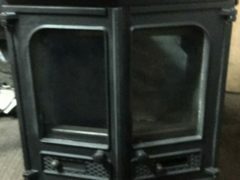 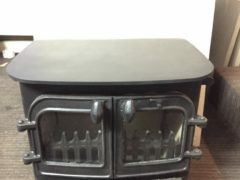 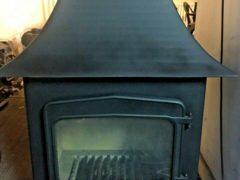 Even if your stove is beyond repair it may be worth £ s.
Futher more should your wood burner require re vamping stoveglass-direct work shop can replace your stove glass, re rope doors, replace fire bricks ,respray and renew. 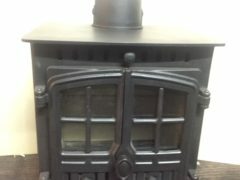 A few examples of our reconditioned stoves are below.